Making your bathroom as trendy as the rest of your house means equipping it with custom-made solid hardwood bathroom furniture. 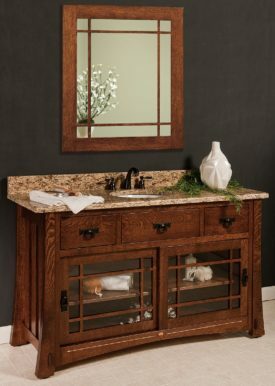 Such as the sinks, mirrors, commodes and more from Brandenberry. Amish artisans build them all. For trendy looks, sturdiness and durability. If you’re planning to upgrade/remodel your current bathroom or build a new one, make sure to look over the sink collections and bathroom accessories from Brandenberry Amish Furniture. Notice that we have a great selection of bathroom sinks. They’re made from solid hardwood with different arrangements of drawers, cupboards and open shelves. So they fulfill your needs for bathroom storage. Plus the single or double bathroom sinks/lavatories are ready for your choice of countertops and faucets. Also, we have a variety of styles, from classic to modern. So you’re sure to find the perfect match for your other furniture. 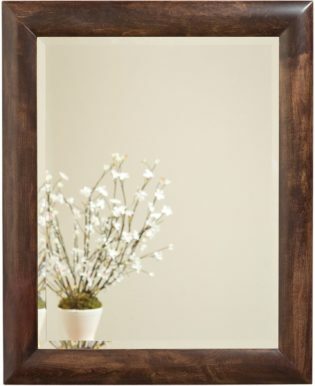 You can order our bathroom mirrors with or without mullions. This gives you greater flexibility to match your décor. Want to go for the antique look? Check out the vintage-looking commodes. They work like rustic bathroom vanities. In case you do not see the bathroom furniture that really strikes your fancy, send us a photo of your current bathroom designs. And our craftsmen can design and build the perfect bathroom furniture for your home.